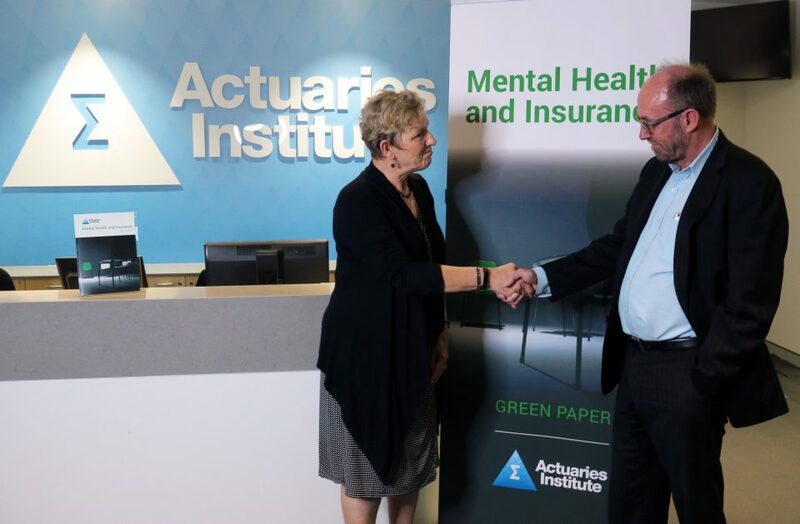 Lucy Brogden, Co-chair of the National Mental Health Commission thanked and congratulated the Actuaries Institute on a “timely” report at the ‘Mental Health and Insurance’ Green Paper media launch. Lucy Brogden launched the Institute’s latest public policy report at an intimate media launch on Thursday 19 October. 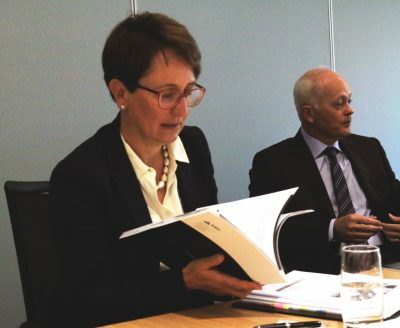 Institute CEO David Bell welcomed journalists, and co-authors of the paper Sue Freeman and Geoff Atkins (pictured below) of Finity Consulting, to the launch where Lucy discussed the Paper in the context of the Commission’s work to improve outcomes for people suffering mental health conditions in Australia. “Thank you for the contribution that this will bring,” said Lucy (pictured below left). “The paper has some great recommendations and areas of focus, and I hope to see real change off the back of it,” – Lucy Brogden. 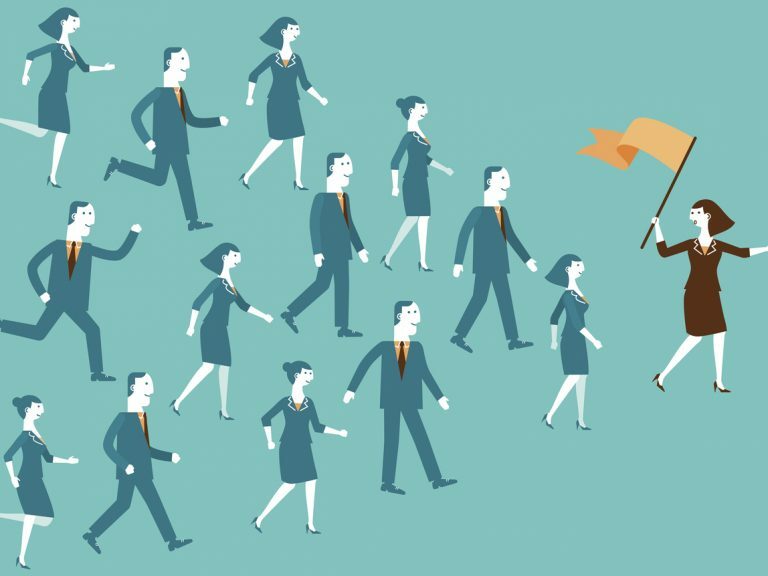 The paper explores the difficult problem of insuring mental health, including subjectivity around diagnosis, lack of reliable data, and ineffective regulatory frameworks. 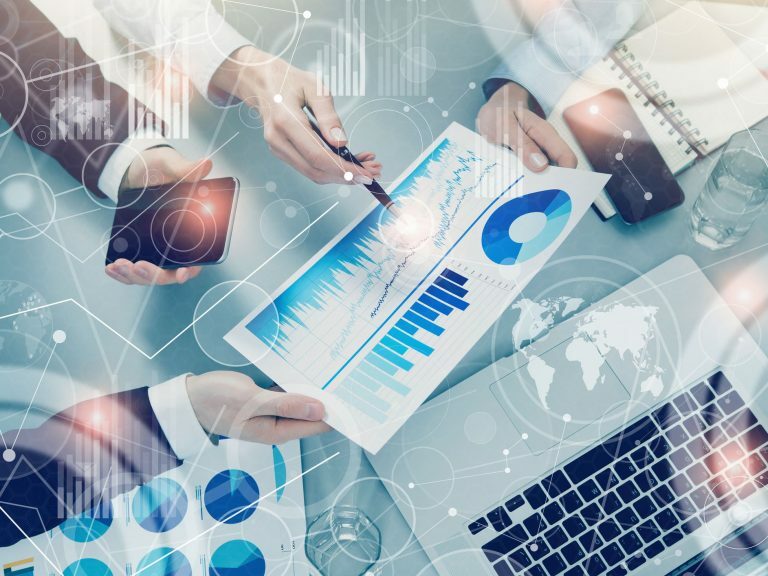 It also highlights eight areas for improvement from underwriting to better claims management and the overarching key: collaboration. 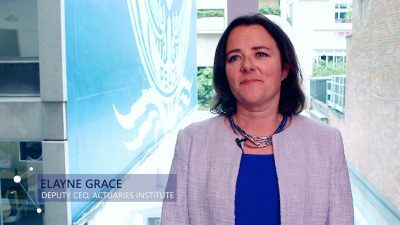 “I think it’s important that we make sure that we understand what might be unintended consequences [in the insurance process for people] but also appreciate the commercial reality for the insurers in trying to understand the risks, and I think that’s one of the credits of this report, is that it actually identifies some of these barriers, but also ways through,” said Lucy. 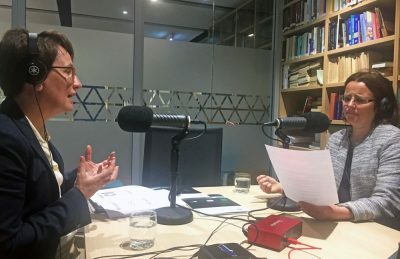 I spoke with Lucy following the launch, as part of our new podcast show ‘Peace of Mind‘ where we discussed the Commission’s mandate to implement the Government’s Fifth National Mental Health and Suicide Prevention Plan, amongst other things. Much effort went into this paper, it was a year long process, as Geoff Atkins outlines in his reflective article on the process here. I’d also like to acknowledge our committees: LIWMPC, HPC, GIPC and PPCC and of course our amazing HQ Communications and Marketing team who all contributed to making this achievable. 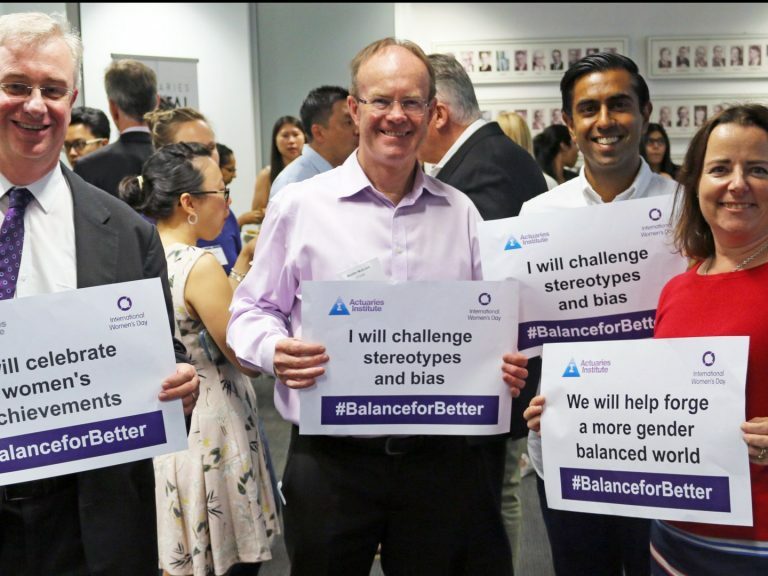 The ‘See what we see’ campaign was also updated to reflect the paper, leveraging off it’s thought leadership, and promoting the the varied work of actuaries and our great profession. Click the images below to watch two short (30 second) videos about the Green Paper, created for the campaign. The Institute has produced a suite of Green and White Papers, as well as it’s new thought leadership series: ‘The Dialogue’ covering issues from genetic testing and life insurance to private health insurance bill shock.